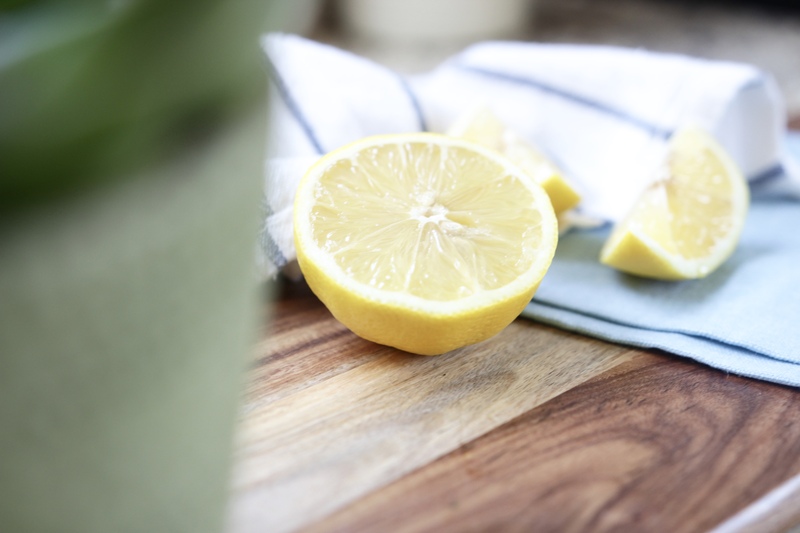 Many people know about lemon water as being a great addition to a morning routine, but have you ever wondered why exactly it’s so great? Let’s chat about the wonderful health benefits of lemon water! Something I’m always recommending to others is to drink more water. It’s so easy to forget or to not make it a priority, yet staying hydrated is so important and benefits us in countless ways. Even better than regular water is adding a squeeze of fresh lemon! If you haven’t yet tried drinking lemon water, here are all the reasons why you should give it a try. Lemon water helps stimulate gastric juices including the production of stomach acid (aka hydrochloric acid) which is absolutely critical for good digestion! HCl is required to help break down nutrients such as protein (by activating the enzyme pepsin) and minerals, and without sufficient supply, can lead to nutrient deficiencies, bloating, indigestion, constipation, and more. Just like lemon water helps with things like constipation by stimulating digestion, it can help reduce heartburn, too! It may sound counterintuitive because lemons are acidic, but many people who suffer from heartburn or acid reflux are actually under-producing stomach acid, not over-producing it. Low stomach acid levels causes food to ferment and push back upwards which can cause heartburn. Drinking plenty of water alone helps our body flush out accumulated waste in our GI tract, but lemon helps even more by stimulating the liver’s detoxification enzymes! Our liver has over 500 functions including helping our body filter and eliminate toxins. Even more, lemon water increases bile production. Bile and fibre together are carriers of toxins and help to more effectively eliminate waste products. I know, I know. Lemons are acidic! But, the citric acid content does not promote acidity in the body. Lemons are actually alkaline once they’ve been digested and metabolized. This is great news for the health of our tissues and for preventing the many diseases that thrive in acidic environments. Of course drinking water alone is excellent for keeping our skin and cells hydrated, but lemon water nourishes our skin even more simply by all of the points listed above. Improved elimination and better digestion means increased nutrient absorption and reduced toxic load which means healthier, happier cells and skin! Simply squeeze half a lemon into your glass (500ml or so) of water. Be sure to remove or filter out the seeds! Fresh lemon is best as it contains the highest amount of available vitamins and minerals. 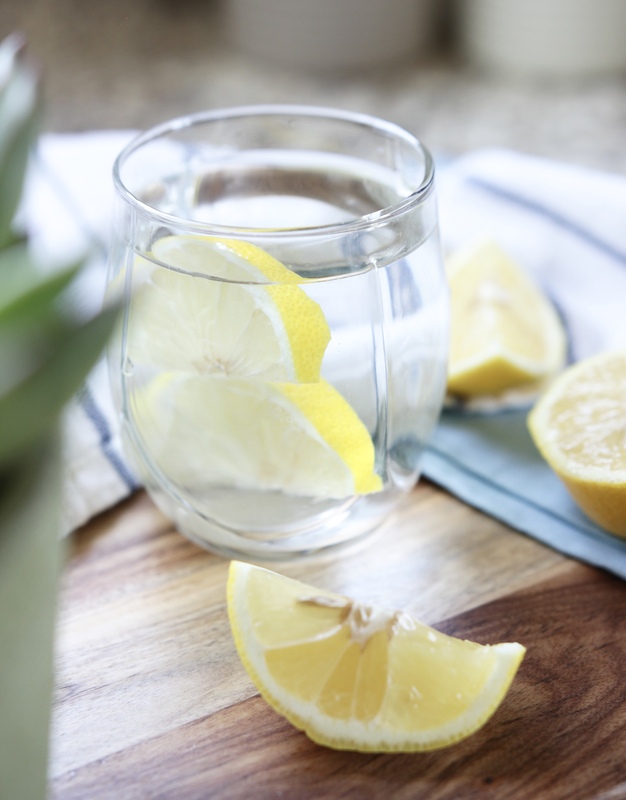 Try starting your day with lemon water to hydrate upon waking and boost your digestive fire. Do you drink lemon water? Leave me a comment below! Is there a difference between squeezing the juice into the water and just putting th have lemon into the water, to leave it there while you drink? 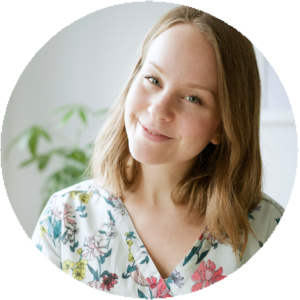 Love your site, your YouTube channel, and the valuable info you share! Thank you! Question: How would limes compare to lemons? Do they provide similar benefits? I typically enjoy a slice of lemon in my water or unsweet tea, however lately I began trying to drink more lemon water, often squeezing in the juice of an entire lemon. I have also been suffering from unusual headaches, and I see a commonality between the headaches and the lemons. My headaches are on the same days, often in the afternoon. I am trying to decide if this is an allergy or my body detoxifying something. I did read that lemon can trigger headaches in migraine sufferers. Interesting! I haven’t heard of that specific correlation before but it’s certainly possible. Do you notice it with any other citrus? What about lime?